In a charming villa located in a peaceful and secure environment, COSY AND SPACIOUS BEDROOM(40 m2) IN A PRIVATE FLOOR with sunny terrace and kitchen. Double king size bed, possible extra single bed and babycot. 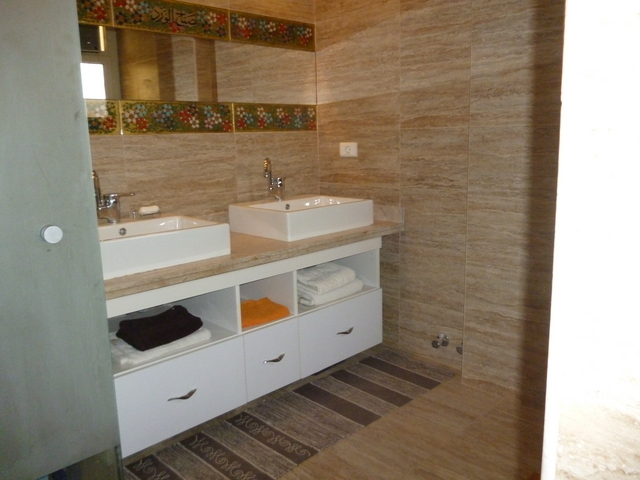 Private bathroom ; shower, WC and dressing. Breakfast included. Dinner possible on demand. Possibility of welcoming you at the airport and transfer at the end of your stay. We can also provide a car with driver and tour guide for sightseeing. 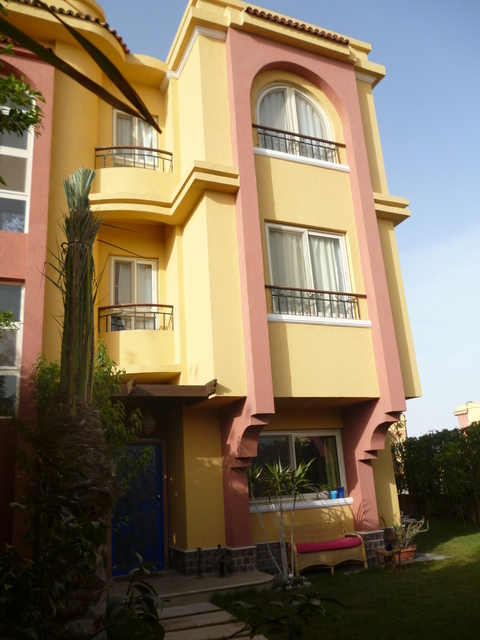 Our villa is located at New Cairo, a new and modern residential area of the capital close to the airport (15 min.) and at 30 min. from all the cultural and historical sites. IT WILL BE OUR PLEASURE TO WELCOME YOU AND MAKE OF YOUR STAY IN CAIRO WITH US AN UNFORGETTABLE ONE. Private kitchen. Laundry. Ironing possible. Family kitchen, living room and garden open to guests. What to see & do : Guizeh and Sakkara Pyramids. Dahchour, Memphis. Egyptian Museum of Antiquities. Citadel of Saladin. Coptic and Islamic Cairo. Souk of Khan el Khalili. Al Azhar Park and Garden. Natural reserve with petrified forest. Felucca sailing on the Nile. Camel ride on the desert. Golf and tennis in beautiful sport resorts and residential compounds. Wadi Natrun monasteries (1 hour and half from Cairo). Alexandria (2 hours and half from Cairo). Sunbath and thalasso at Ain Sukhna, beach resort at 1 hour from Cairo. Prices : 45 €/night for 2 persons, breakfast included. 10 €/person for dinner on request. 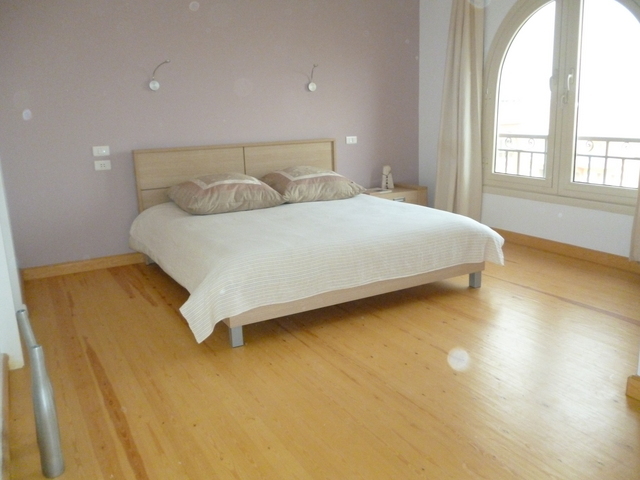 Beautiful and confortable bedroom, with AC and Internet connexion, on a private floor. Private sunny terrace with kitchen and laundry under a pergola, garden view. Cleaning included.